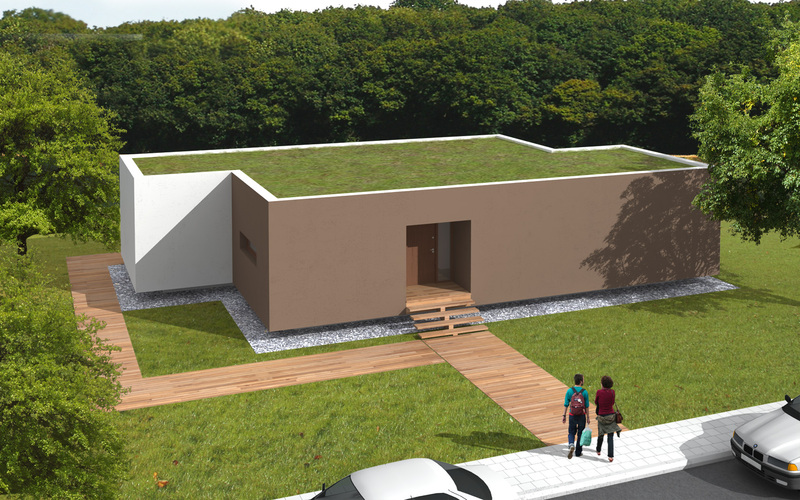 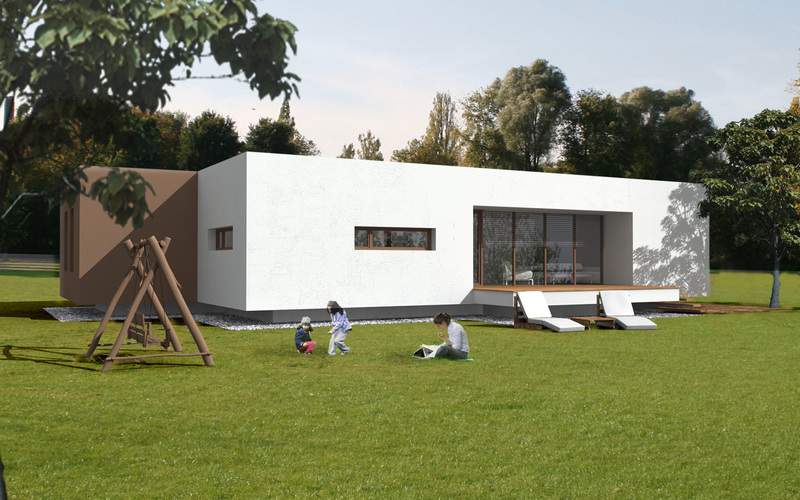 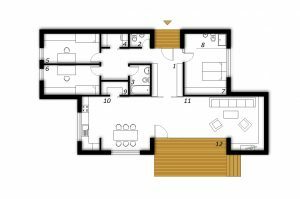 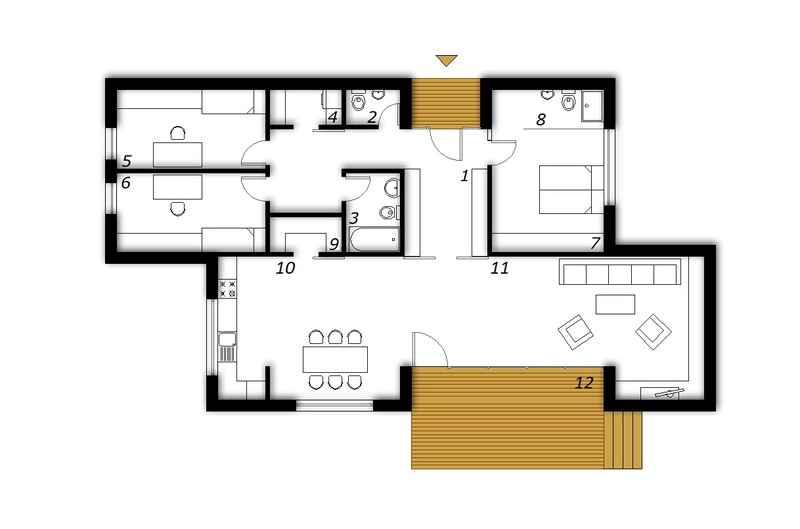 This stylish low-energy ground floor house is one of our most representative products. 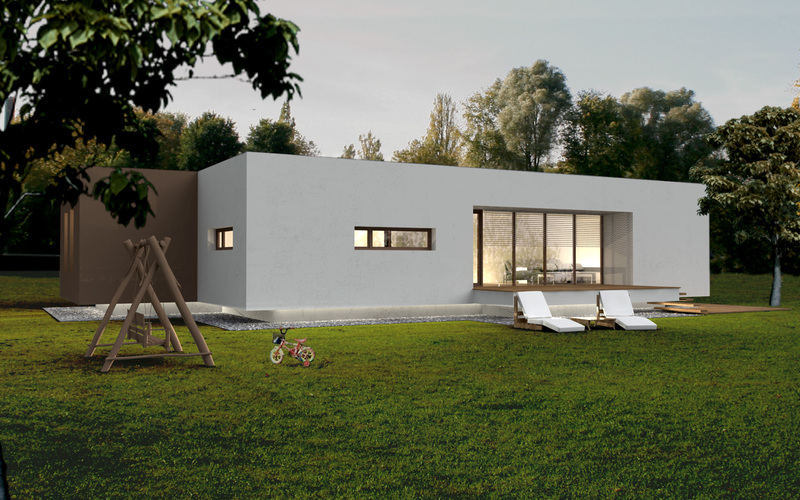 ek 005 offers a comfortable living space that constantly connects with the surrounding area trough carefully planned window openings. 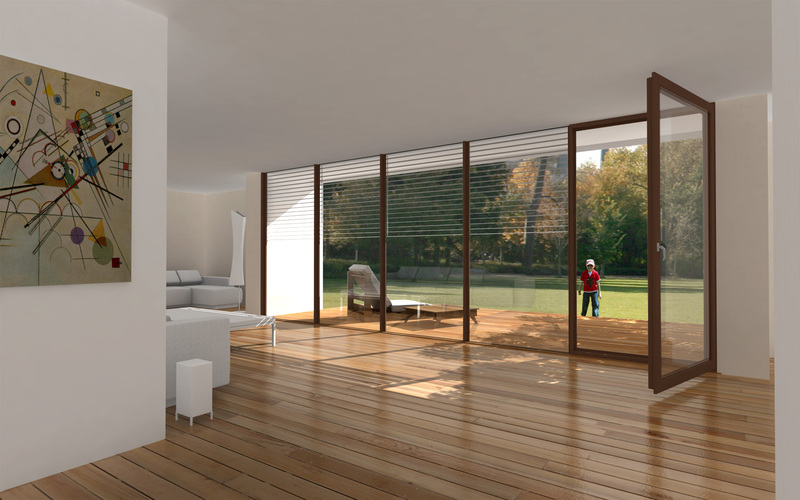 With its simple, yet timeless architecture and use of eco friendly building materials ek 005 dramatically reduces its impact on the environment and of course on your monthly heating (cooling) costs.